The Galiano Naturalists commenced ca. 1986 with the first annual Christmas Bird count, organized by Ed Andrusiak. Many community members have numbered among its membership over the years, including Jerry Azevedo, Basil Benger and Tony Kingscote. Since 1990, events and activities have been organized primarily by Michael Hoebel and Rene Zich, with Ed returning to the island in more recent times. To this day the Galiano Naturalists remains a loosely organized interest group rather than a mass membership organization. The Naturalists sponsor the annual Mushroom Festival and the Christmas Bird Count, as well as spring bird walks and the Bird Checklist. 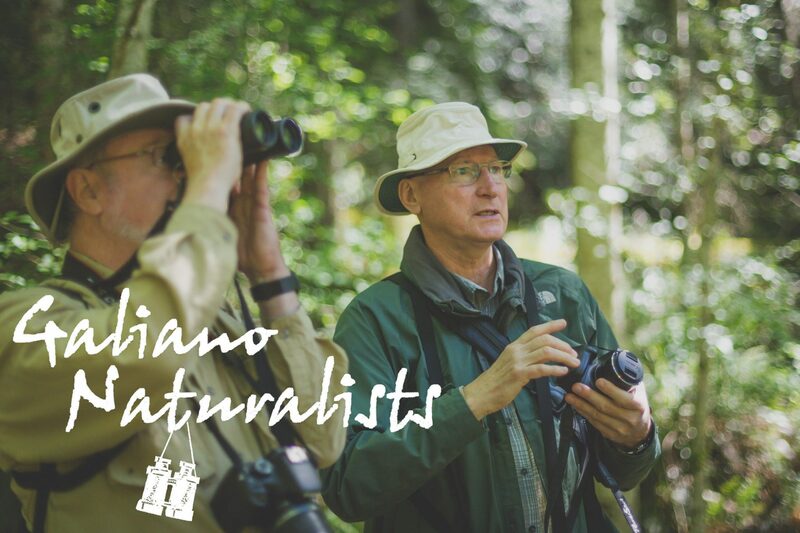 Galiano Naturalists have also made major contributions to the Biodiversity Galiano project, adding numerous observations and providing back-up support during island events.